It’s 1992, the breakup of Czechoslovakia is inevitable – the same as the marriage of Michal and Iveta Drobny. Michal is a man of forty who lost his job after the Velvet Revolution and now spends all his time watching sports on television. This upsets his beautiful wife and also his 16-year-old son. He gave his father a strange nickname: a “Waterman”. 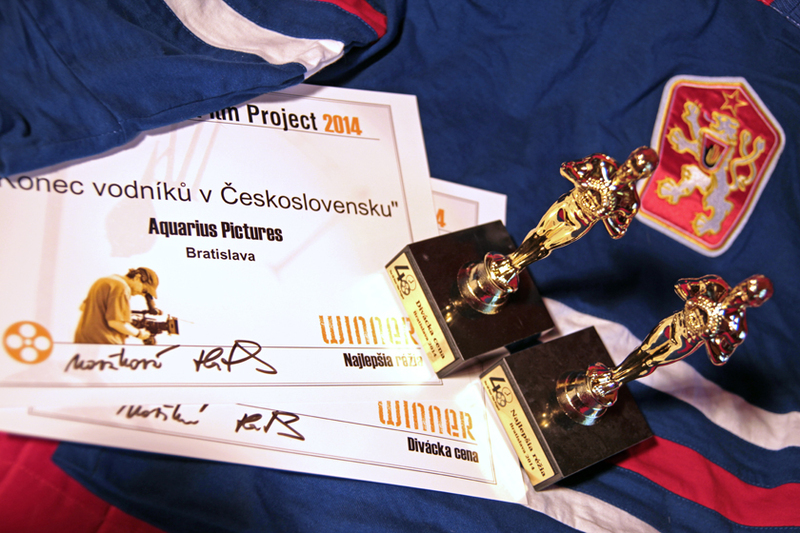 The film was created for the Bratislava 48 Hour Film Project 2014 and won Best Directing Award and Audience Award at the festival. Jan Petrak: Michal Drobny Jr. Shooting the couch scene. Left to right, Zuzana Krajickova as Iveta Drobna, Martin Mudr as Michal “The Waterman” Drobny, clapperboard Katka Etrychova and director & cinematographer Stepan Etrych.